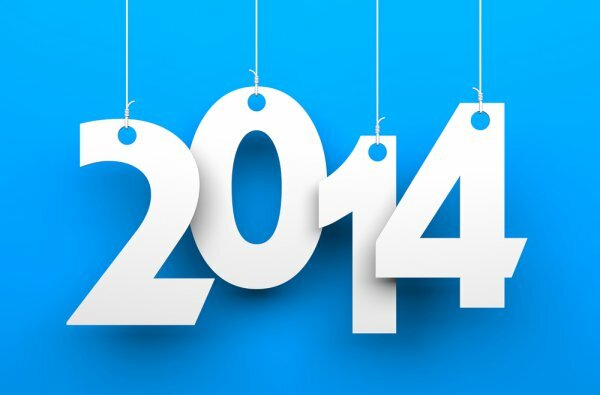 “Happy New Year!” It’s a phrase heard around the world in dozens of languages on the eve of December 31st. From Australia to Zimbabwe, people all over gather together to celebrate the new year. And by monitoring tweets, we can learn a lot about how the world uses social media during global events. 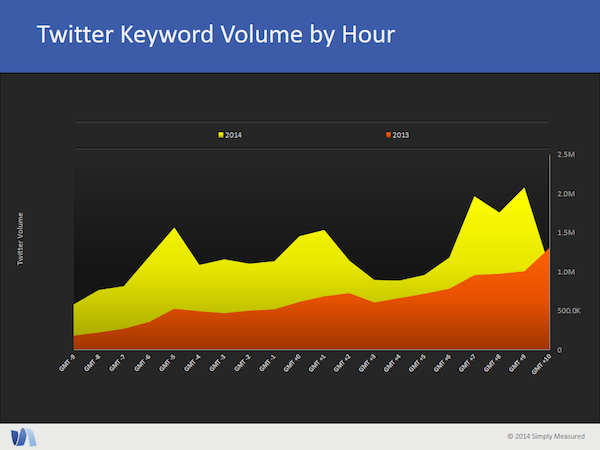 Search Engine Watch took a look at Twitter usage patterns in different timezones during the 20-odd hours that the event spanned. 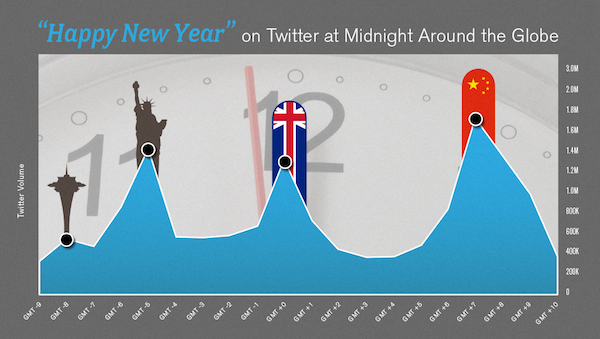 Unsurprisingly, the term “Happy New Year” trended on Twitter throughout the evening. Different timezones had different levels of enthusiasm for 2014, with China and Japan being most enthusiastic with 1.6 million “Happy New Year” tweets. Similar spikes occurred when midnight rolled around in the UK and US. 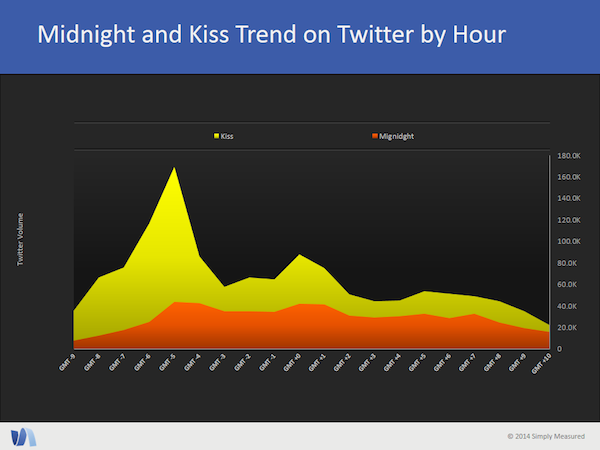 Funnily, the terms “Kiss” and “Midnight” trended on Twitter during the last few hours of 2013 and the first few hours of 2014, with the East Coast producing the largest spike. Also interesting is how each year was treated by Twitter. 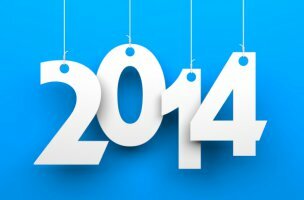 “2014” saw higher overall volume throughout the night, as was to be expected, with peaks mirroring those of “Happy New Year.” The bygone “2013” also received some attention, but eventually petered out as the night ended.